Polar Bowler first debuted as a Windows PC game ten years ago and became a long-standing hit for WIldTangent and its casual game network. After bringing the popular Polar Bear and his new sidekick J to iOS last year in the 1st Frame game, the company is back with a new PB & J title that retains the pin-toppler's original name, Polar Bowler. For those who haven't played it, Polar Bowler is a bowling video game featuring a sunglasses-adorned Polar Bear and, on iOS, his valet penguin J. PB rides an inner tube as he travels down various mazes knocking over bowling pins. Your role as the player is to steer PB and knock over as many pins as you can. 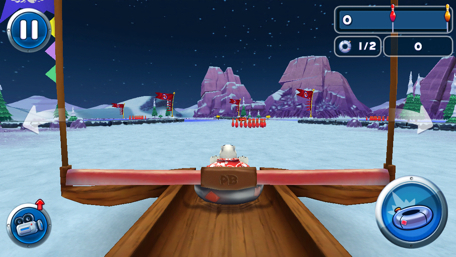 As you speed down the lane, you can steer using the onscreen controls. You aim for the pins, while you avoid obstacles and use other items like ramps to move your Polar Bear along its way. Occasionally, crates will appear with bonus content like specialized inner tubes to help you in your quest to topple pins. When PB finally comes to a rest, the game tallies up your "Polar Score," which is based on how many pins you knock over, the speed at which you travel, and how many bumpers you hit. To complete a level and move on, you must clear every pin the maze. The latest version of this pin-toppler game is chock full of options with souped-up tubes, custom outfits and more for your Polar Bear. Gameplay is fast and fun with plenty of mazes to keep you engaged. 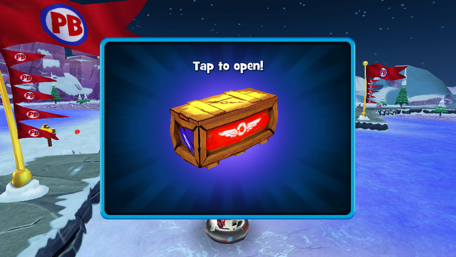 There also are free goodies that you earn every day, encouraging you regularly to open the app to play. Polar Bowler is available in the iOS App Store for 99-cents. 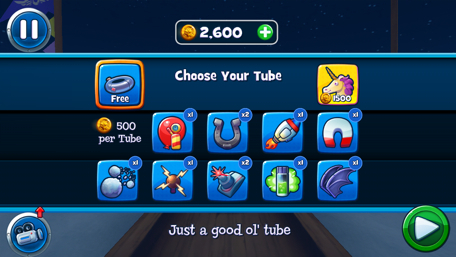 It contains in-app purchases that allow you to buy crates or coins, which can be used to buy xtras like fancy, new tubes for PB. Popular pin-toppler game Polar Bowler lands on iOS originally appeared on Breaking Apple News, Tips and Reviews from The Unofficial Apple Weblog on Wed, 02 Apr 2014 13:00:00 EST. Please see our terms for use of feeds.